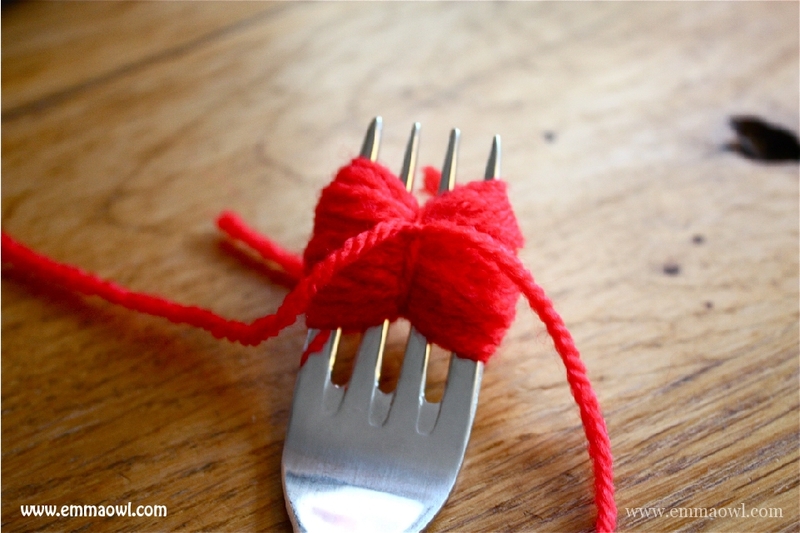 Tip: How to make a Pom Pom with a Fork! This is a very handy Tip if you need to make a few small pom poms!! We needed make a few pom poms – they are the shiny nose – for our Footprint Reindeer Gift Cards. The pom poms are small – as the fork is small – but the perfect size for all kinds of projects! 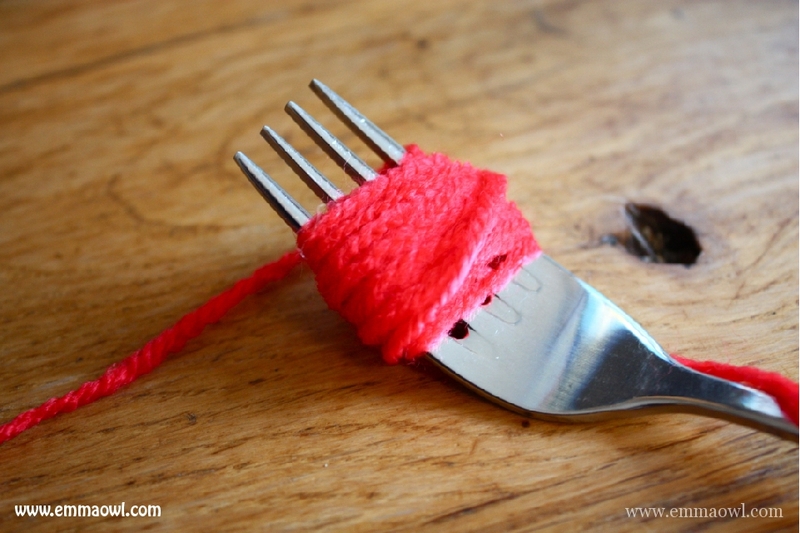 You need a fork and some wool to get started! 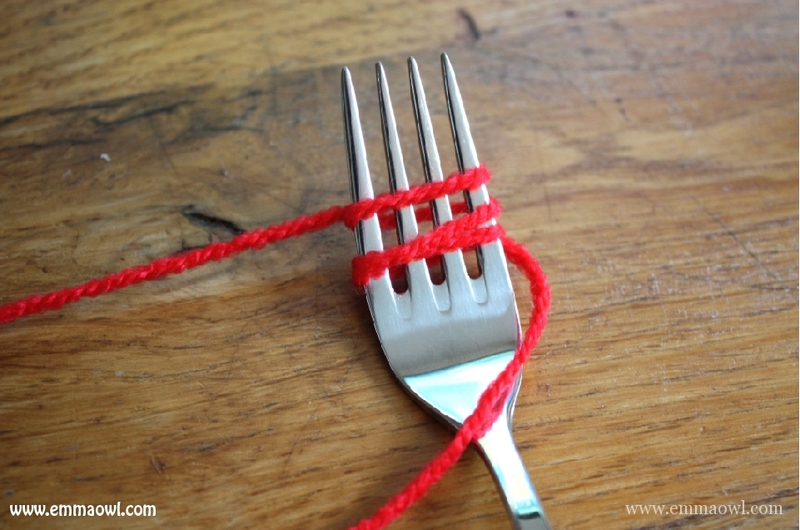 Wrap your wool around the fork – try wrap it in the middle of the prongs. Then tie a little wool – in the centre prong – around the wrapped wool. 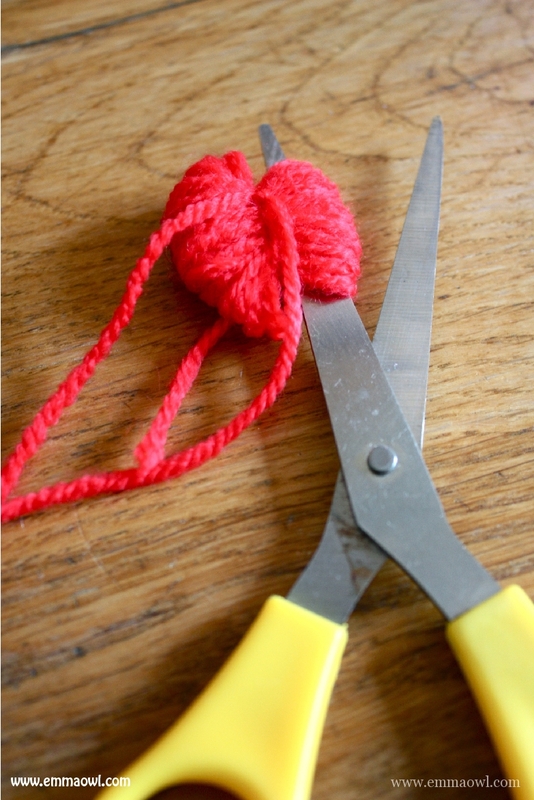 Tie it as tight as you can as this is what holds the pom pom together! Slide it off the fork carefully, cut both sides. Fluff it out and there you go, a perfect little pom pom, made on a fork! Thank you Linda! We are making 100’s for Christmas!